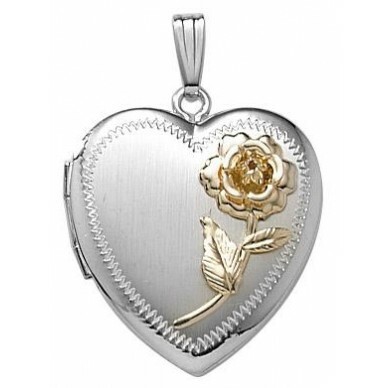 This lovely white gold locket has a 14K yellow gold rose sitting pretty on it. 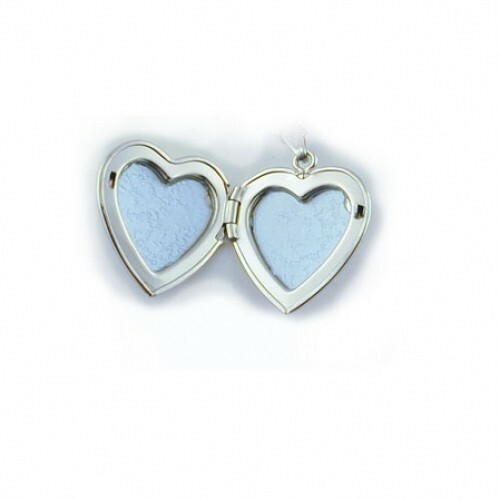 Measuring aprox 7/8 inch across it comes with an 18 inch white gold chain. 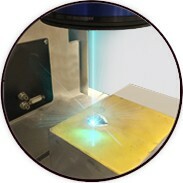 Made in the USA -A stock item. 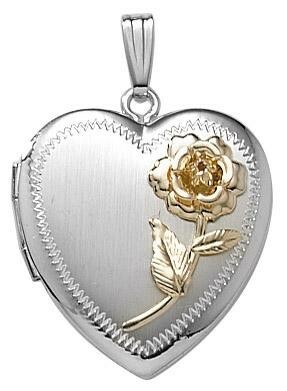 This lovely white gold locket has a 14K yellow gold rose sitting pretty on it.